Over 80 quick and easy recipes for today's busy cook, using fresh, affordable and simply delicious ingredients. At the end of a busy day, or in the middle of a lazy weekend, it's easy to opt for takeaways and convenience foods - never as nice as the food we cook ourselves. What if you could prepare a delicious meal in the time it takes to order and collect that takeaway? 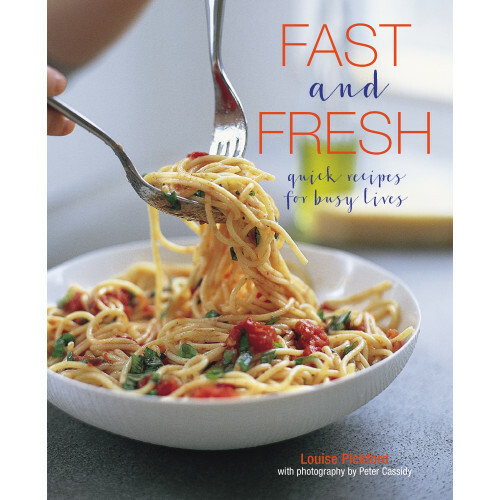 Fast & Fresh gives recipes that can be prepared in minutes - others are on the table in less than half an hour. Try Starters, Vegetarian and Sides, Eggs and Cheese, Fish and Seafood, Meat and Poultry, Pasta, Rice and Noodles, Bread and Pizza, Sweet Things and Drinks. There is also a great section on Basics (stocks, sauces, dressings and more) and good advice on shopping and what to keep in the fridge and larder to save time.